Navy blue is one of favourite colours, whether it’s in clothing (my equivalent of black) or in the home. For a long time after I left school, I steered clear of it, except as denim. Navy and white was my school uniform colours, not that school was a bad experience and I just wanted to forget about it, because it wasn’t. I think it was more to do with having to wear it 5 days a week. 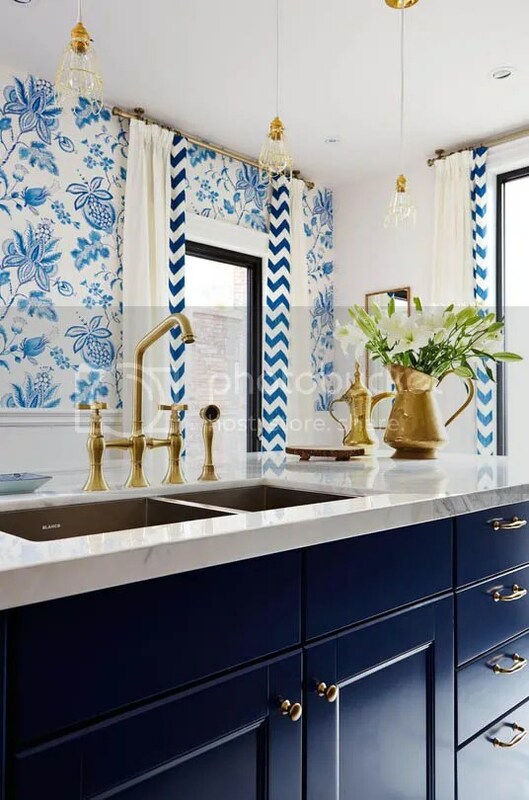 In the home, Navy or any similar blues tones can add a real impact to a room but in a subtle way. It is cool and calming, it does not have to try too hard. To me it is sophisticated without the harshness of black. To me it strikes the right balance between masculinity and femininity. 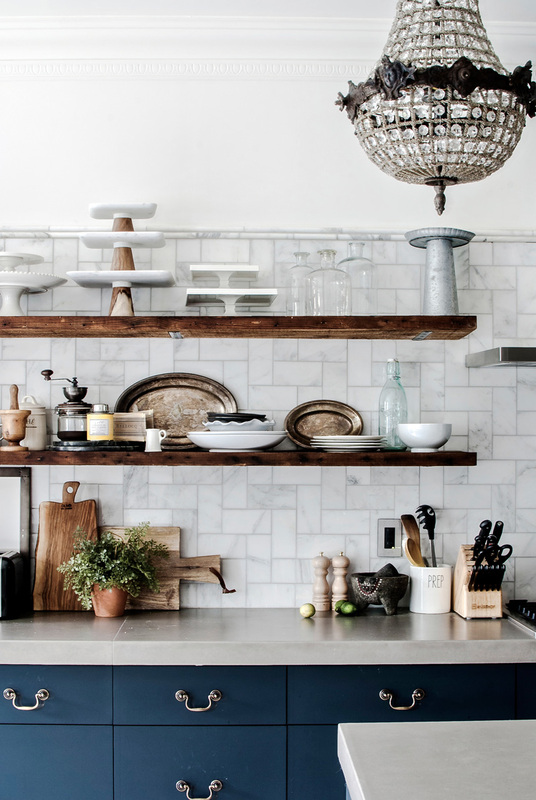 One area I have seen it used a lot to great effect is in the kitchen. I do not mean on countertops, but on cupboard doors. And when you add brass hardware, timber or marble bench tops and white tiled walls, well the look can be stunning. Check out the kitchens below, let me know what you think. 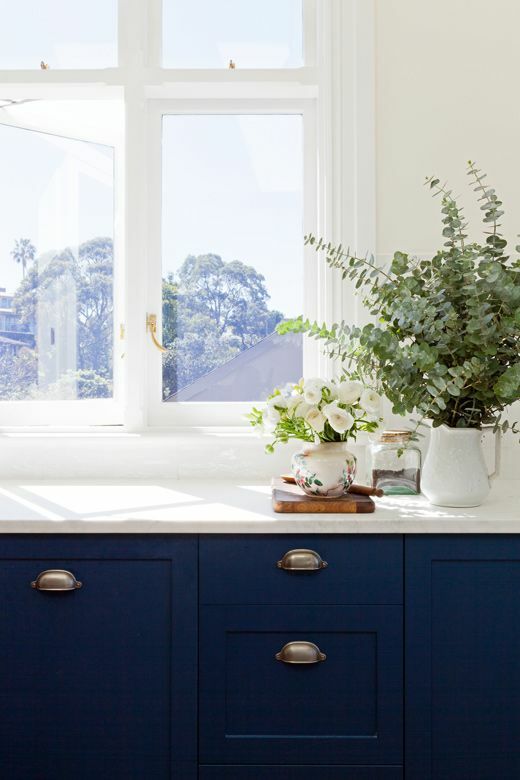 Making you want to paint your cabinet doors?? I do!!! 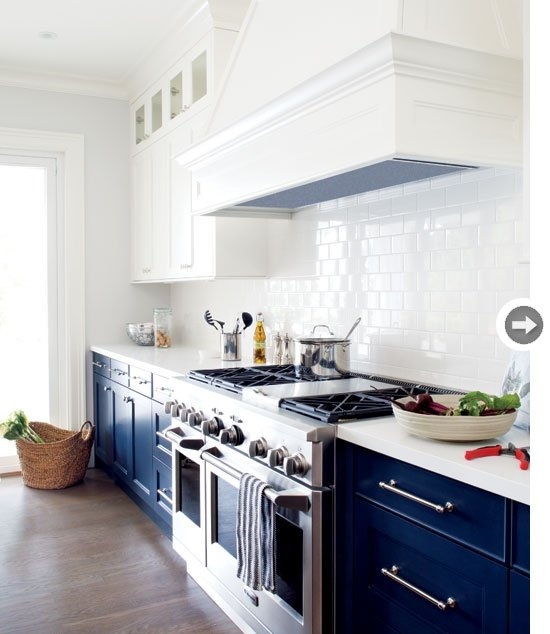 Whitney, ever since I saw the Kitchen by blogger Brittany Makes, I have been obsessed by blue cabinetry. 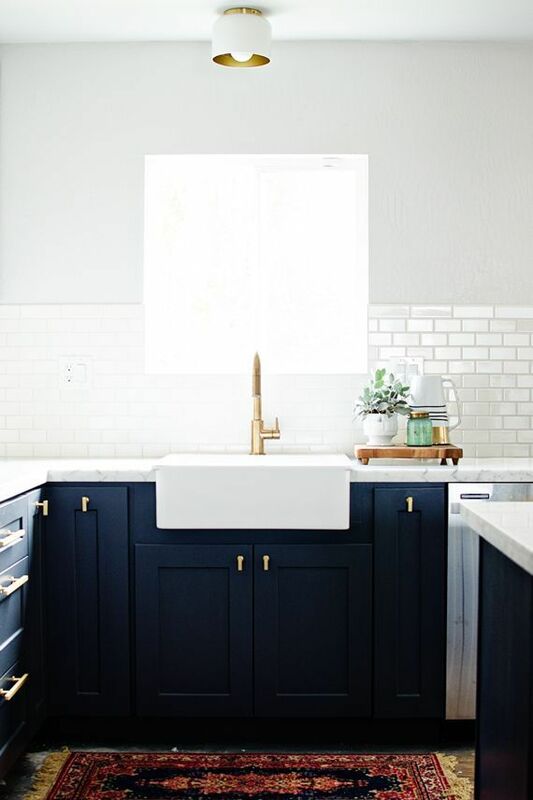 With the white tiles and brass hardware I just think it looks so sophisticated.